Breaks infected dubstep rave from Mode for the Dark Circles label. 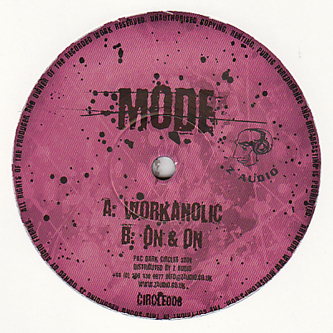 'Workaholic' hits hard with rolling breaks slotted into an angry halfstep model, while 'On&On' fires off a round of sci-fi samples and can-crushing bass weight. Grrr.